Students at Forest Glen will be dismissed at 1:25pm. The Carnival committee is still looking for donations for raffle and auction baskets. Please click here to find out more! We are really in need of more volunteers for the carnival. There are both adult and child spots that have to be filled. If you, an older child, a neighbor, friend, or anyone you know could help out—please recruit them. Do you like to bake? 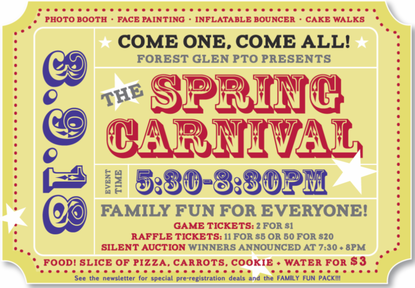 The Carnival committee is looking for donations of baked goods for the carnival family favorite, Cake Walk. If you would be willing to donate, sign up here! The staff would like to extend our sincere gratitude to the parents who provided the great food during parent teacher conferences. A most sincere thank you to Mary Bottom and Holly Grimm for coordinating the meals and taking care of serving and cleanup! This year’s theme is “I Heart School Breakfast.” Did you know, students who eat school breakfast are more likely to score higher on standardized tests, have better concentration and memory, be more alert, and maintain a healthy weight?! With hectic mornings, your child has healthy breakfast options available at school! Keep an eye out for some of our most popular breakfast items this week as well as a couple of new items. Students will also have the opportunity to participate in activities and receiving giveaways during breakfast this week. Meet the Superintendent and engage in a community conversation. 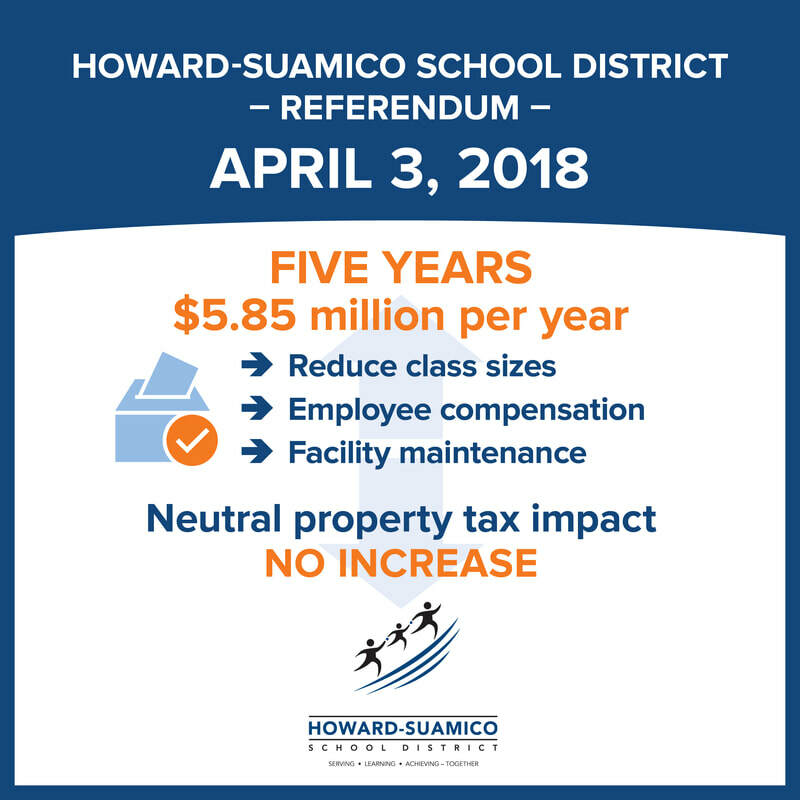 If you have any questions, contact the Howard-Suamico School District Office at 662-7709. Only the school police liaison officers have access to the tip line and all calls are confidential. Order forms were sent home to each family this week. If you misplaced your form they are available in the school office or online here! Forms with payment are due on March 7. Seroogy order pick up is scheduled for March 16 from 3:00pm to 6:00pm in Pod C. If you are able to help during the day to sort the orders on March 14, please contact Kayla De Prey at kayla412@gmail.com. Also, we are in need of paper grocery bags. If you would be willing to donate bags, please send them to school with your child. Thanks in advance for your help! Mark Your Calendars for Summer School! 2018 Summer School Booklet not available at this time. Click here to find out more information about 2018 Summer School and to access online registration! Thursday, March 15, PORTRAIT OF AN ARTIST - Howard-Suamico School District Art Show, featuring art from students K-12, refreshments and live musical performance. Location is Bay Port High School. Purchase student pottery as part of the Empty Bowls Project to benefit The Giving Tree. Free Admission. Howard Suamico Community Pool March 16 - HSSD Family Swim Night at Howard-Suamico Community Pool, 4-7 p.m. To register, visit www.hssdcommunitypool.weebly.com and click Family Swim Night. March Pool Schedule Summer Swim Lessons - Registration for summer will begin May 5 @ 8 a.m.